Spiñata Grande is one of Net Entertainment’s South American-inspired games, and while it differs substantially from some of their other titles, like Gonzo’s Quest, it delivers an extremely exciting user experience, thanks to the outrageous gameplay, and upbeat, happy-go-lucky approach. 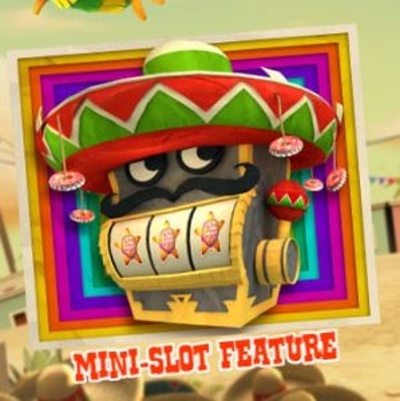 Known particularly within the UK, thanks to its inclusion in William Hill Bookmaker’s, Spiñata Grande is already one of Net Entertainment’s more popular titles, and one reason, is thanks to the design, look, and feel of the game. Using 5 reels, and 40-pay lines, players can spin from as little as 20p, to £200 per spin, and this is easily adjusted thanks to the coin value and bet-per-line adjustment buttons at the bottom of the screen. It’s the background, and the reels themselves however, that give Spiñata Grande its high-quality design; set in what appears to be a rural, Mexican neighbourhood, Spiñata Grande uses Piñatas to intertwine the Spanish culture alongside Video Slots. This can be seen with some of the high-paying symbols on the reels, which include different-coloured Piñatas. Lower-paying symbols include playing cards, 10 through to Ace. The music and soundtrack found in Spiñata Grande is designed to put you in a warm happy mood, and classic Spanish guitar greets wins; this intensifies when the size of the wins increase, and to say the guitar player goes crazy during the bonus… well that’s a bit of an understatement, really! Occasionally, you’ll see a 3X3 grid of symbols spin past on the reels; these are mini-slot machines, and it’s possible to land either 3, 6, or 9 of the symbols on the screen during a spin. Do so, and each of the symbols will “activate”, and perform a little animation, before landing on either a bronze, silver, or gold coin… or, the colourful free-spins scatter symbol. A bronze coin is worth 1X your stake, while silver, and gold coins are worth 2X and 5X, respectively. It’s the scatter symbols you really want to see though, and you can land anywhere from 1, to 9 of them (although you’ll need at least three to enter the free-spins round). Once you’ve landed three or more of the scatter symbols through the mini-slots, you’ll then be awarded a set number of spins. 3 scatter symbols awards you 5 free-spins, with 4 giving you 6 spins, 5, 7, and so on. 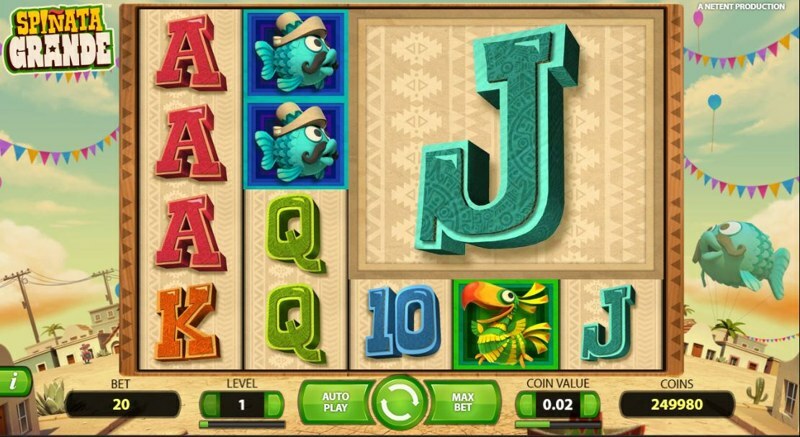 During the free-spins, you’ll benefit from seeing gigantic wild symbol on the middle three reels. It’s possible to land this symbol fully on reels 2, 3, and 4, and do so, and you’re in for a monstrous win! While you can’t re-trigger more free-spins, the “in-game-slot-game” tends to drop relatively regularly, so you don’t have to wait particularly long in order to land the feature; that said, it’s incredibly frustrating to land just three of the symbols on the screen, and only win a few coins, so expect bouts of annoyance at times! 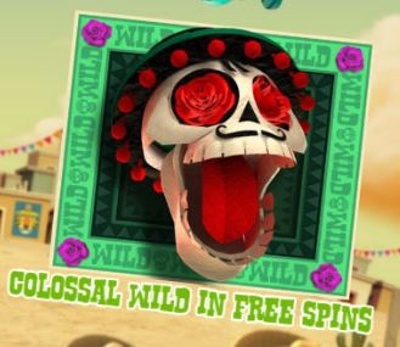 Nonetheless, Spiñata Grande is a top game from Net Entertainment, and the bonus-round offers really good payout opportunities, especially when you manage to land the colossal wild.